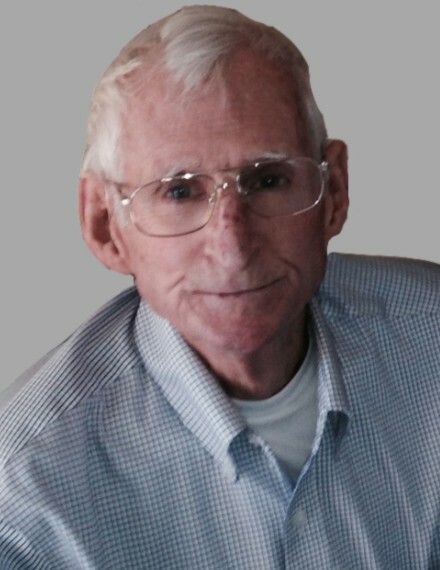 Edward Henderson George, 74, of Frostburg, passed on April 11, 2019. Born June 20, 1944, in Pearisburg, Virginia, Ed was the only child of Charles Edward and Eleanor Henderson George. He was raised in Rawlings and attended school at the McCallie School in Chattanooga, Tennessee, before returning home and graduating from Allegany High School in 1962. He attended Texas A&M University in College Station, Texas, where he was a member of Company B-2 and earned a degree in architectural construction in 1966. At the age of 14, Ed began working for his father at the George Construction Company by cleaning lumber in the equipment yard. He ultimately served as vice president and co-owner of the company and was an integral part of the company’s work in building much of the campus at Frostburg State University, including the library, student union, classroom buildings and many dormitories. The company built Oldtown, Flintstone and Northeast elementary schools and Braddock Junior High, as well as handling many jobs at the former Luke Paper Mill. From 1992 until 2008, Ed served as area supervisor for the Maryland Department of General Services, where he oversaw state of Maryland construction projects in Washington, Allegany and Garrett counties. From 2008 until 2011, he consulted for the Maryland Bureau of Mines. Commissioned a U.S. Army officer from the Texas A&M Corps of Cadets, Ed rose to the rank of Lt. Colonel, serving a one year tour of duty as a platoon leader and acting company commander of an Engineer company in Vietnam, and over 20 years in the Army Reserves as a member of the 265th Supply Company in Cresaptown, the 619th Engineer Detachment in Romney, West Virginia, the 510th Supply Depot, and the 352nd Civil Affairs Command in Riverside, Maryland. In 1990, Ed was called to active duty as part of the elite Kuwait Task Force, established by Army Civil Affairs to develop and execute the restoration plan for the State of Kuwait, following immediately behind the leading forces in the liberation of Kuwait in the Gulf War. Ed was initially tasked with the redevelopment of water, road and bridge infrastructure in Kuwait, teaming with Kuwaiti counterpart Saba al Reyes; assisted with the restoration of fire and emergency services; worked on the reopening of the American School of Kuwait; and worked with the U.S. Ambassador to Kuwait. In 2016, the Kuwait Task Force was honored by the RFPB Fellows Society with the Distinctive Service Award for exceptional, meritorious and distinctive service during Operation Desert Storm in the liberation and restoration of the government of Kuwait. Ed was an active member of several civic organizations, serving on the zoning appeals board in Frostburg, the board of the Gordon-Roberts House in Cumberland, as a troop leader of Boy Scouts of America Troop 9 in Cresaptown, and as a 44-year member of the Frostburg Fire Department, where he served as treasurer for many years and was Firefighter of the Year in 1989. He was a longtime member of the Cumberland Church of Christ and served as church treasurer. Ed had an avid interest in historic cars and enjoyed restoring vintage Pontiac Fieros and taking weekend trips in his Corvette. He was always considered the voice of reason and wisdom in the community and wherever he served. Ed is survived by his wife Jean Taylor George, who he married on Signal Mountain, Tennessee, on June 14, 1969; son Edward Taylor and wife Dawn, Hurricane, West Virginia; daughter Kathryn Hamilton and husband Robert, Chantilly, Virginia; and granddaughters Beldaran and Adara George and Elise Hamilton. He is also survived by Pauline George, who married his father in 1960. He was preceded in death by his father in 2009 and his mother in 1955. Friends will be received at Durst Funeral Home P.A., 57 Frost Avenue, Frostburg on Saturday, April 13, 2019 from 4 to 7 pm. The Frostburg Fire Department will hold a Memorial Service at 6:30 pm. A funeral service will be conducted at the funeral home on Sunday, April 14, 2019 at 2:00 pm with Minister Steven Hershberger officiating. Interment will be in Frostburg Memorial Park. Contributions in Ed’s honor can be made to the Frostburg Fire Department; the Cumberland Church of Christ at 221 Memorial Avenue, Cumberland; or the James E. Neely Endowed Memorial at Texas A&M University, College Station, Texas.